To keep your cabbage healthy, you should learn how to make your plant happy. Simply digging a hole and putting a plant in it won’t work! You have to take care of your plant. This info will help. Give your cabbage at least 1 inch of water each week. 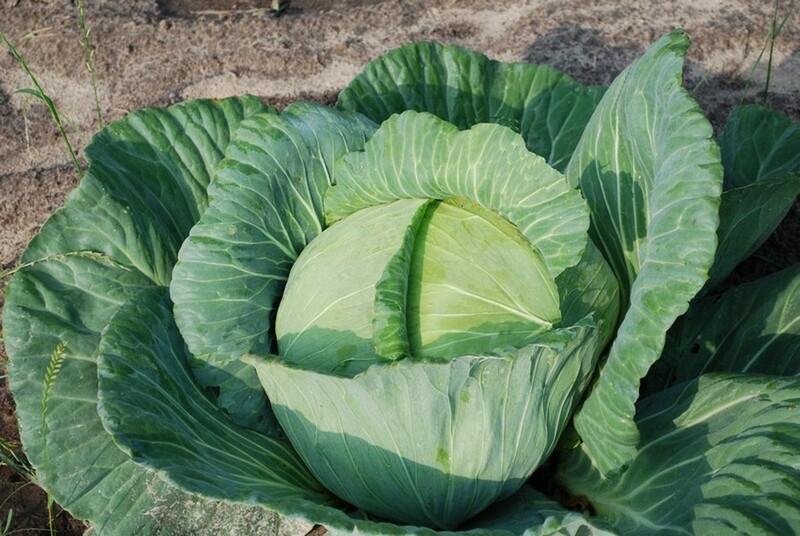 If it doesn’t rain, gently water your cabbage using a watering can or hose with sprinkler nozzle. Water around the base of the cabbage, not the leaves. Check for and pull any weeds growing up around your cabbage. Weeds can steal water and nutrients from your plant! Working together with an adult, feed your cabbage with Miracle-Gro® Shake ‘n Feed® Tomato, Fruit & Vegetable Plant Food or other fertilizer for vegetables, following the directions on the label. You can buy plant food at your local garden center or home improvement store. While your cabbage likes cool weather, young plants (up to 3 weeks old) can be harmed by freezing temperatures. If the temperature dips below 32 degrees Fahrenheit, cover your cabbage with a bucket or a sheet of plastic. Find more info on the How to Grow Cabbage page on the Bonnie Plants website.